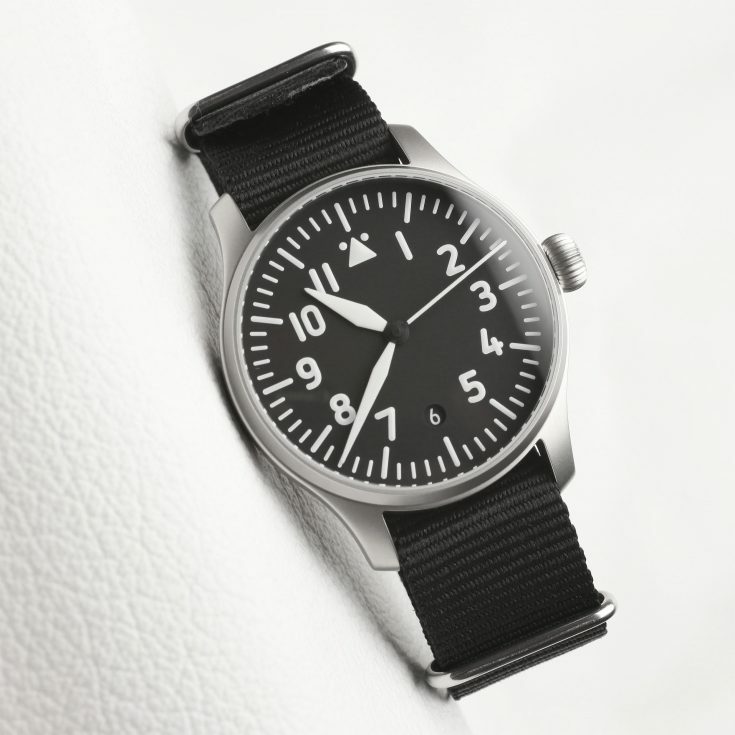 Stowa is one of only five companies who manufactured the original B-Uhren watches for the Luftwaffe (Lange & Söhne, Laco, IWC and Wempe being the other four). Here’s our Stowa Verus review. Jörg Schauer acquired the company in 1996 from Werner Storz, the successor and son of founder Walter Storz. 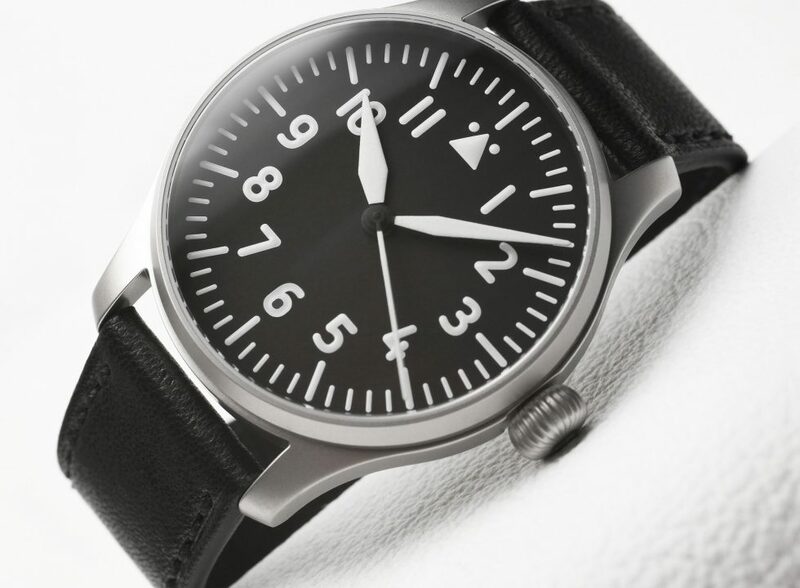 As a trained watchmaker and designer, Jörg re-designed the historical Stowa watches in co-operation with Hartmut Esslinger, and moved the design element forward with the times. 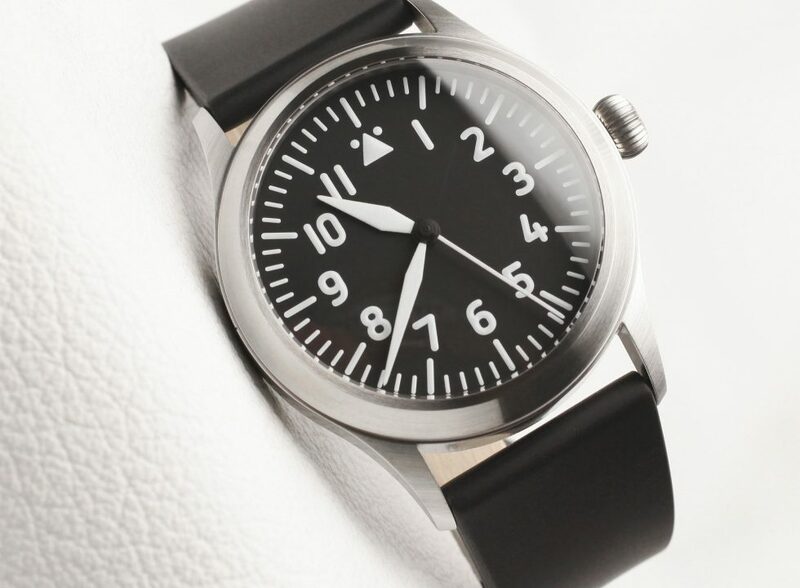 Stowa has kept several characteristics of the flieger unchanged – the sterile dial, triangle at 12’o clock, luminous hands and dial, central seconds, pilots strap, and sandblasted case with historical markings. 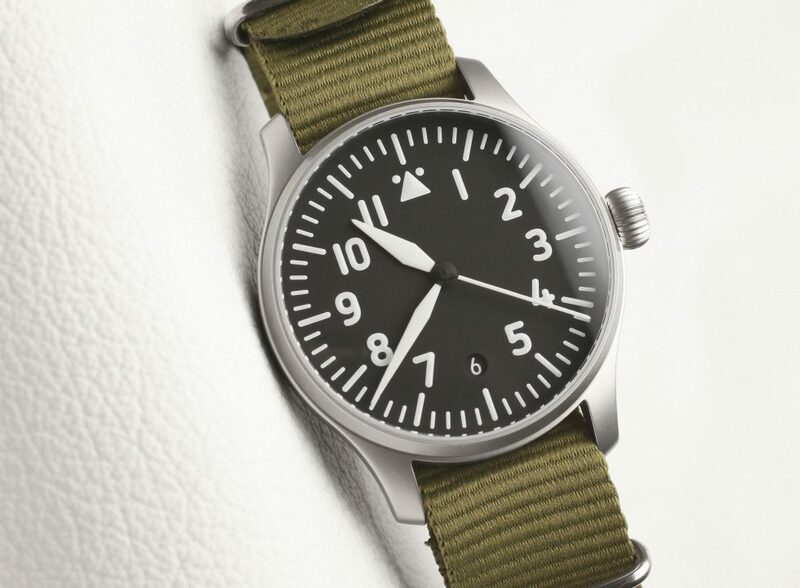 However, Stowa has now introduced a more modern and functional flieger appealing to Millennials and a younger generation at an entry level price point. Some of the differences between the Klassik flieger and Verus are that Verus has much bolder and bigger numbers and markers, larger white hands, discrete round date window at 6’o clock (no-date version is also available), BWG9 Superluminova, and a basic ETA automatic movement. The similarities remain with 40mm stainless steel matt bead blasted case, onion crown, and sapphire crystal in front and back. 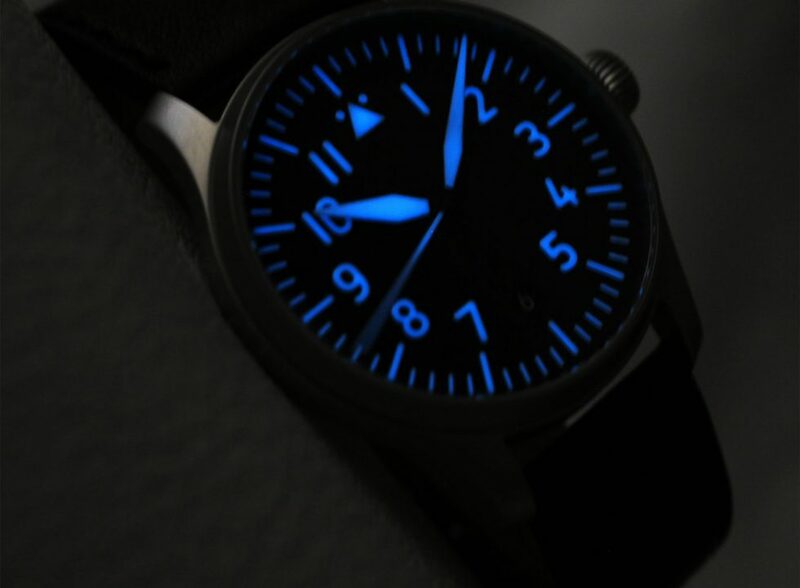 As a flieger aficionado, the first impression is – wow that bold font! But after spending some time with the watch, I am very pleased with the bolder font since the numbers are easier to read (no more squinting!). The BWG9 lume is cooler white than the brighter C3 which has greener tint. The hands are the best feature of this watch. They are like the IWC Big Pilot hands – as they dominate the 40mm Verus dial. The 40mm case size with 10.2mm height makes it easy to wear every day and tuck it under the shirt cuffs. The lug width is 20mm, which opens possibilities for numerous strap changes. 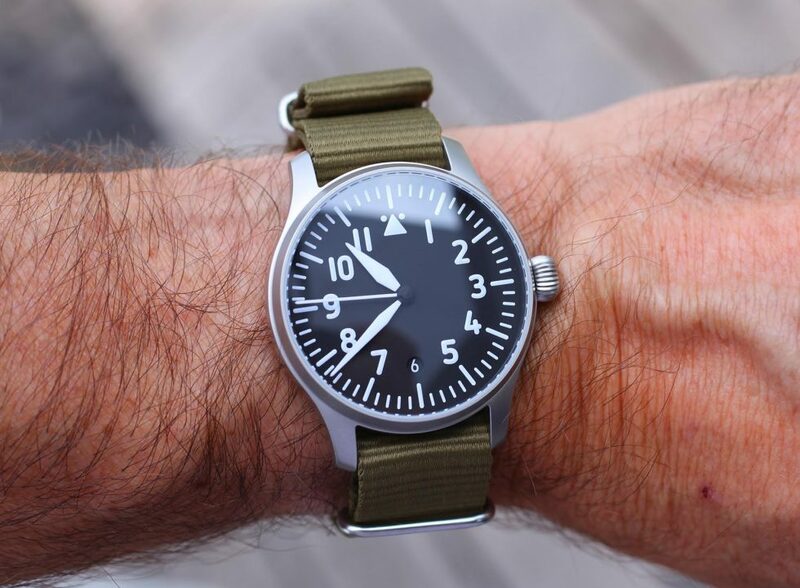 I like Verus on a green or brown Nato strap as rubber strap makes it appear more understated. 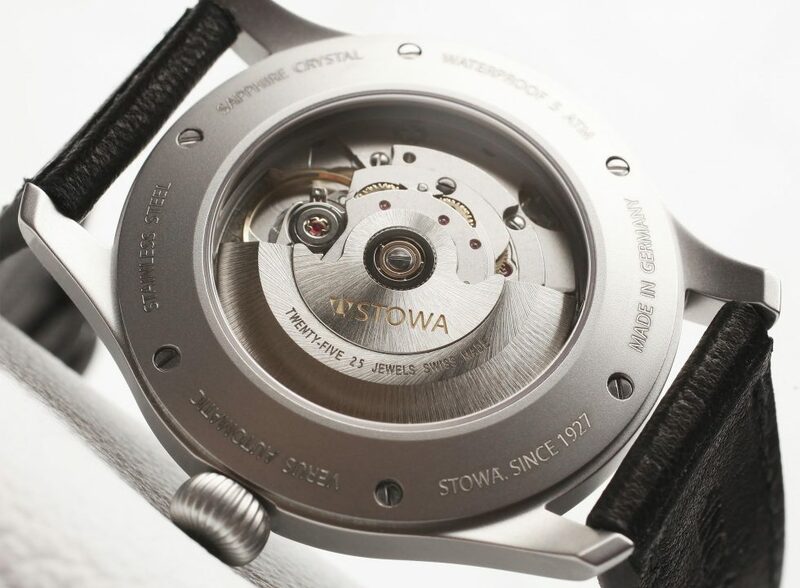 Stowa used a basic ETA 2824-2 automatic movement instead of popular Sellita movement used by most of independent brands. There is nothing special to look at the movement, unless you get personalize the rotor with laser engraving (for a small charge). 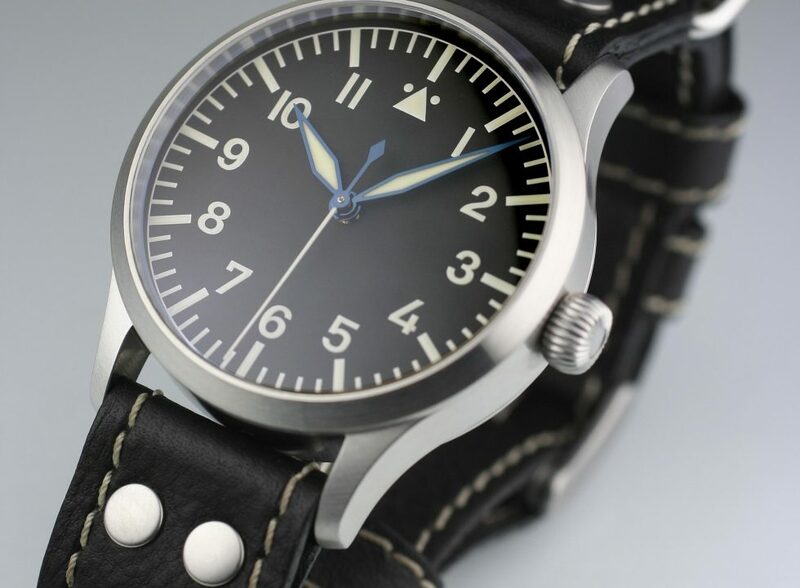 The modern flieger can be purchased directly from Stowa website for € 554,62 (excluding German VAT). UPDATE: Jörg informed me today that he will be in Tokyo this weekend to celebrate Flieger Friday with Stowa Japan enthusiasts. He is unveiling a larger version of Verus, Verus Klassik 43mm. The larger Verus case has 200m water resistance rating. Pricing is not available yet.